Starting on Friday 22nd November, a group of Rhys’ friends will cycle 161 miles over 3 days from North to South Wales in his memory! Starting at the foot of mount Snowdon at midday the team will cycle 44 miles to Dolgellau. The team will cycle 71.5 miles from Dolgellau to Builth Wells. 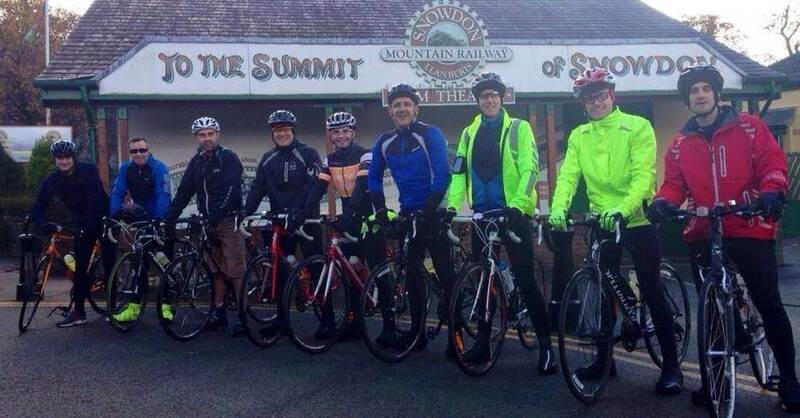 Then on the final day they will cycle 45.5 miles from Builth Wells to Lower New Inn aiming to arrive at 1pm. If you are in the area please pop along to show your support! The team of cyclists are Nathan Bridger, Ade McDonough, Matthew Jones, Deri Williams, Julian Sanders, Dan Hern, Leigh Whatley, Simon Fish, Matthew Preece and Dai Griffiths with support drivers Alun Taylor and Tim Lane. Please visit the team fundraising page to help support the guys! Special mention and thank you to Nathan, Ade and Dan who are all supporting The Hibbs Lupus Trust. Join us on Facebook & twitter where we’ll keep you updated on their progress! Follow the #Cycle4Rhys twitter hashtag for the latest updates! What a lovely way to remember someone. As a lupus sufferer I thank you all for your effort in raising much needed funds and awareness. Much love and lots of luck from my family in Newport, South Wales. Thank you Jennifer ,my son is much missed but his friends are amazing doing so many things in his memory to raise funds. Hoping you are staying well.